I’m happy to announce that Under the Winter Sun is now available on Amazon.com in ebook and paperback format! 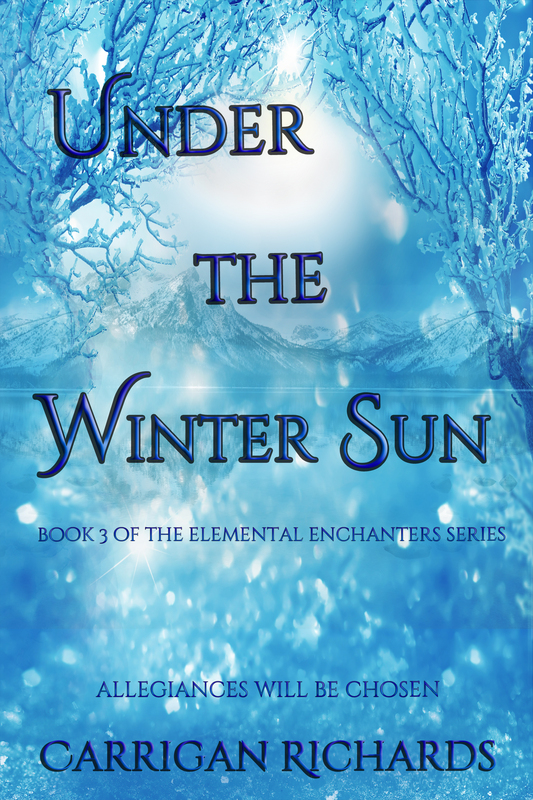 This is the third book in my Elemental Enchanters Series. Thanks to all who supported me! And thank you to all my lovely readers! Ava never knew the extent of torture. When the previous battle leaves all of the Enchanters powerless and broken, Ava distances herself from everyone. Her closest friends have been kidnapped and she feels useless. All she can feel from Peter is guilt because he could not protect the coven so Ava learns to hide her emotions in order to keep her thoughts at bay. It’s taking more time than she expected for her strength and powers to return and she sinks deeper into a depression. Once Ava and her coven gain their powers back they start their journey to Caprington to defeat Havok and save their friends. She must choose her allegiance or risk losing everyone she loves. Next It Tastes Like Burning! Awesome! ❤ I hope you enjoy them!